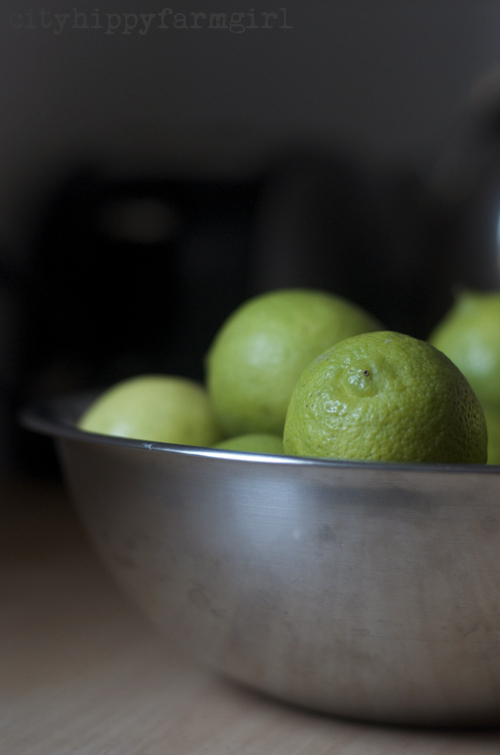 This entry was posted in Connecting with Community, Food Glorious Food, Photography and tagged canning, homesteading, lime, lime marmalade, marmalade, organic, preserves, recipe, seasonal eating, slow food, urban by cityhippyfarmgirl. Bookmark the permalink. Congrats 🙂 I so want a piece of crusty, chewy bread right now. Happy Hump Day! That’s fantastic Brydie! Well done! Yum!! The bread looks delicious! What recipe do you use? I’ve been meaning to try sourdough. 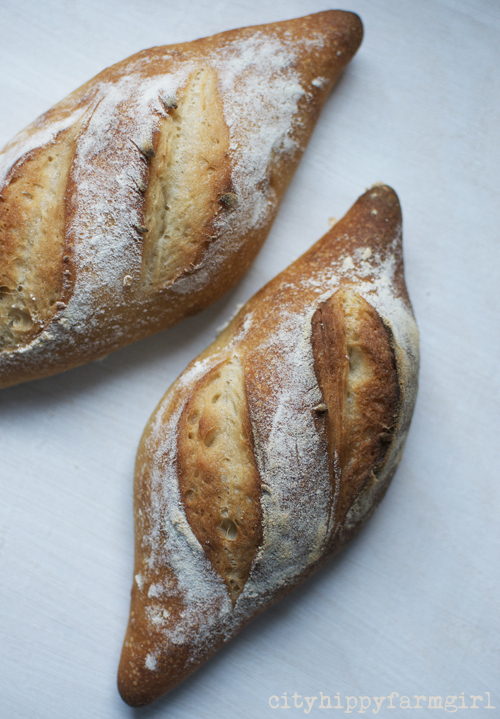 Sourdough is great stuff to jump into…you should do it. never gets old for me either brydie..and congratulations..your bread is the bomb! Lovely photos! And I would like a loaf of that beautiful bread, please! I wish I could share it with you Heidi. Fab news re the magazine article, Brydie! I cant remember the last time I preserved. But when I did, I made marmalade, never lasts long in my household tho. PS: Pretty loaf. Sara! I know what you mean – I spent ALL of last weekend preserving the buggers. Sara do what Emma did, trade your local cafe for coffee and cake goodness. Loving that. Gorgeous looking loaf. I made my first loaf of sourdough a few weeks ago. Can’t wait to have a go at free form loaves. Hooray! That’s a bit exciting! I will be eternally jealous of your bread making capabilities! Nah don’t be Reannon. Anyone can do it. Promise. The bread looks great! I am such a picky bread eater, but I wouldn’t mind grabbing a handful of that one. We didn’t make any jam last summer and I am missing it! I’ll definitely have to make some this year. I love that idea Emma and I would definitely do that too if only I had a lemon tree with bountiful lemons to trade. You’re lucky!…now go get back to the preserving. 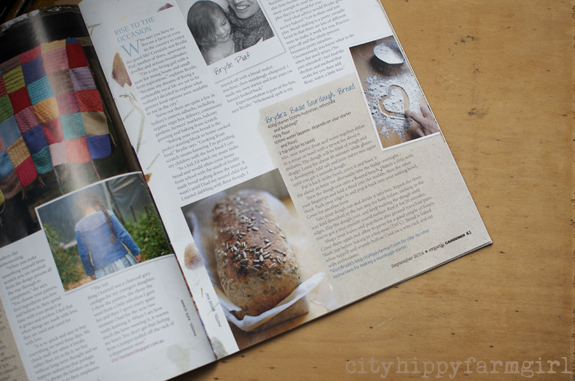 Yes I saw you in the magazine…I was just reading away and then’ There’s Brydie! !’ You seem to be everywhere just lately – think you might be able to call yourself just a little bit famous! Nahhh Kim. Two mags, that’s all, (three if you are a homebirth mag reader 😉 And you might see a bit more of me in Earth Garden too in future editions *ahem*… proudly sits up straighter. Will have to check out the mag. Nice one! Fab looking bread. I’m preserving plums this weekend – dark plums, greengages and damsons – making the most of them before summer ends. Jams and compotes I think. Pickles, pickles, and more pickles! 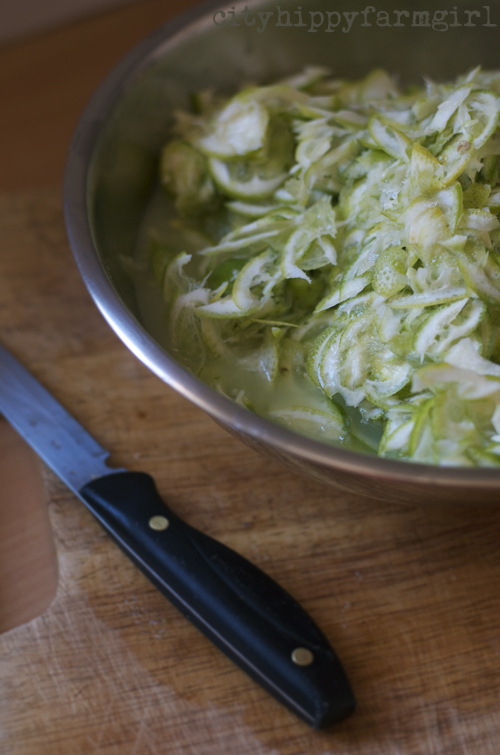 I can’t seem to keep up with the amount of cucumber preservation I need to do. Your bread looks lovely!